Motivating, realistic, fun, memorable, successful… is that how most students would describe their foreign language courses? Well, now they can! 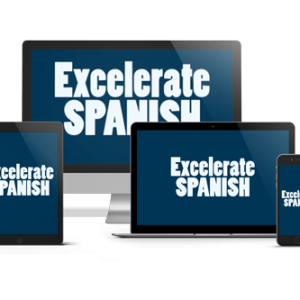 Imagine your students’ enthusiasm as they learn Spanish through engaging, dynamic situations ranging from the practical to the bizarre! 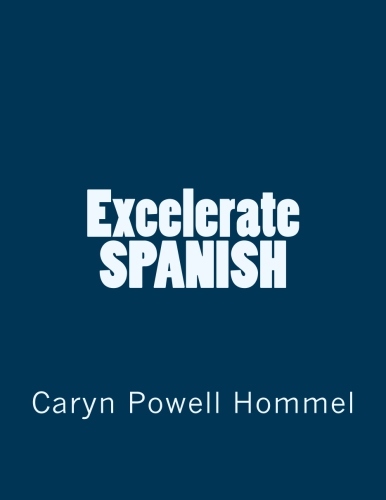 Equip them with useful expressions as they dramatize an endless variety of scenarios: attending a concert, playing soccer, riding a motorcycle, going horseback riding… Say goodbye to stale lessons, monotonous drills, lame dialogues, and forgettable lists forever. 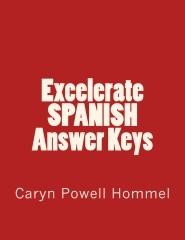 Open the door to Spanish that your students will love, use, and remember! 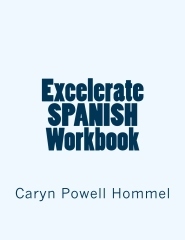 Detailed instructions for presenting these Excelerate SPANISH lessons make it possible for you, the teacher, to accelerate fluency and fun while promoting excellence in your Spanish program. Multiple suggestions for homework and review bring additional opportunities for creative juices to flow! In addition, the student workbook (sold separately) provides a stimulating variety of activities for continued practice, reinforcing students’ grasp of the material presented in this lesson book and extending applications to include grammatical features in communicative contexts. This versatile program is perfect for beginning students but also serves as an excellent refresher. Appropriate for multiple age groups, public and private schools, homeschools, and professionals. Students who do or who have used other courses/methods will benefit tremendously as they begin to synthesize everything and become speakers! 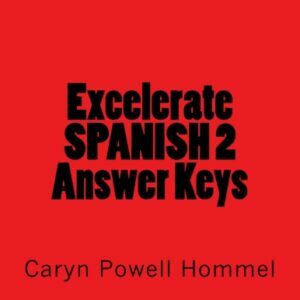 Each lesson includes a unique themed TPR (Total Physical Response) series, a humorous skit for classroom dramatization, a leveled reading selection, and comprehension questions to go along with each of these sections.